Cashback is a way for you to save money every time you shop online. A percentage of the purchase is returned to you as a cash back rebate when you complete your purchase with any one of our 4,000+ merchants. It’s just like using a coupon, except all money is earned after the purchase has been successfully tracked. Cashback websites are designed to receive commissions from the retailers they work with in exchange for directing consumers to their websites. Most cashback sites will give a fraction of this commission back to you, but TopCashback is the ONLY site that returns 100% of the commission. That’s why we claim to be the highest paying cashback site in the US. · To ensure you get the greatest deals everytime you go to buy something online, simply sign in to your TopCashback account first and then click through to the store you want to shop at. By doing this, you will earn cashback on every purchase you make - whether you are booking a vacation, hunting for new clothes, shopping for vitamins, or signing up for a new utility or mobile service. · Keep an eye out for exclusive coupon codes on TopCashback, which you can use alongside our cashback offers, giving you double the savings when you buy. Please note, only official coupons listed on TopCashback may be used, otherwise the cashback may not track through the merchant. · When it comes to getting the cashback you’ve earned out of your account, TopCashback offers a number of easy payout methods, including Amazon.com Gift Cards, PayPal, ACH, and American Express® Reward Cards, some of which even give you a bonus up to 3%. So, if you have earned $100 in cashback, you could receive up to $103 when you cash out. Cash out at anytime you choose. · An additional way to boost your cashback earnings is by getting your friends, family & colleagues to sign up with TopCashback using your Tell-a-Friend links. Easily send out invitations and track their signup progress, all from within the dashboard on your account. Our Tell-a-Friend bonus offers have been as high as a record $29.00 per referral! 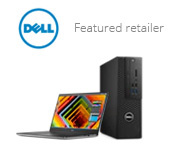 · Search for your favorite brands to view their current deals and cashback rates, or look at our Exclusive Offers - for cashback, coupon codes and seasonal sales. 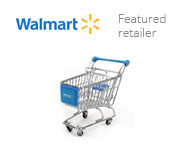 · Click the ‘Get Cashback’ button and complete your purchase as you normally would. · The cashback will track and show in your account as pending until verified with the merchant. Once verified, the transaction will become payable. Simply choose a payout method and receive your money. Earning cashback is simple and can be done in three easy steps. Browse for a particular retailer from more than 3,500 we have on site, click on specific categories of retailers using the navigation bar or visit our Offers Page for the day’s best cashback deals. Once you have found the retailer you want, just click on the ‘Get Cashback’ button next to the offer and you will be taken to their website. Then, simply make your purchase as normal and we will calculate the amount of cashback you are due, which should appear on your account earnings page within seven days. If you are still unsure, or have a further question you need answering, visit our Getting Started page. If you would like more information about any problems you may be encountering while earning cashback, please check out our help section.